Our guide explains the traditional tools and weapons used by local tribes. In later years, buffalo hides were traded for rifles, metal tools, European clothes, and flour. Begin your journey at Head-Smashed-In Buffalo Jump which showcases Plains Buffalo culture of the last 6,000 years. 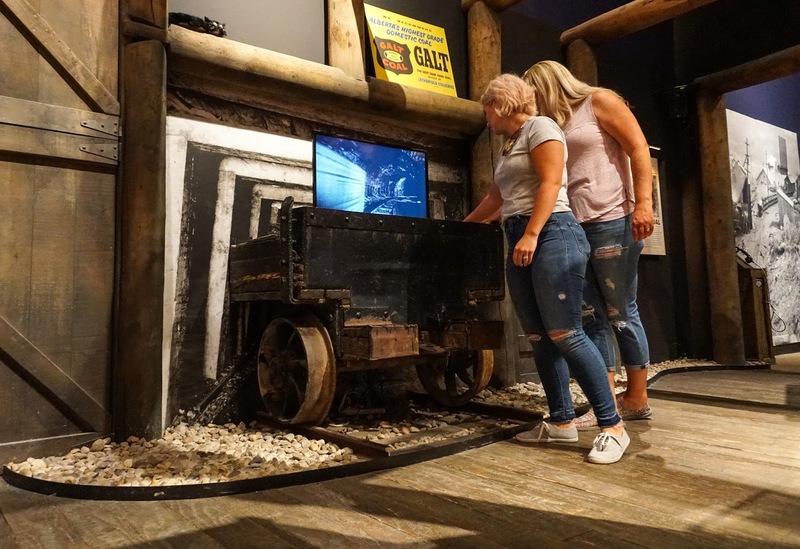 Discover what life was like here before the railway and westward expansion, and how trade impacted the local First Nations and buffalo. 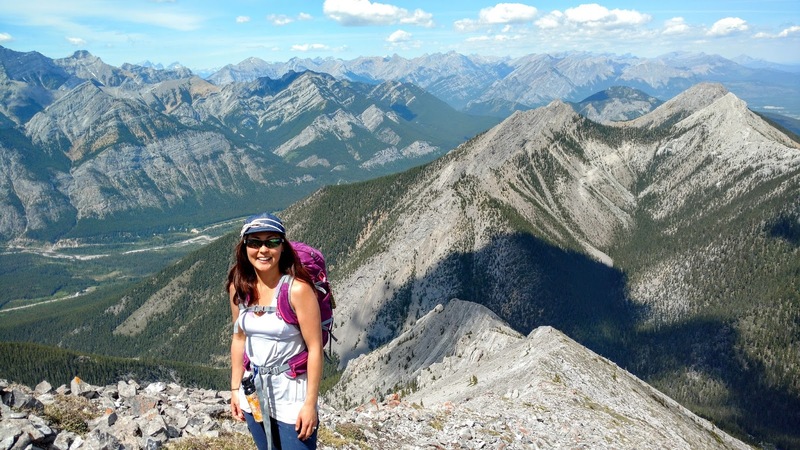 Allow at least a couple hours to explore the interpretive centre and trails. It is recommended that you start with the movie for an overview of the buffalo jump and how it was used, then start from the top floor and work your way down. For an in-depth look at how buffalo were hunted, sign up for a special interpretive program. 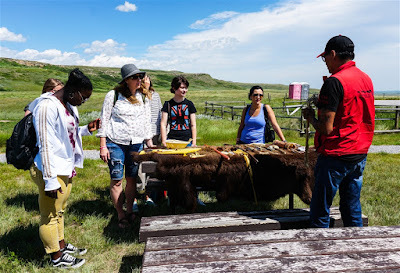 Read more about Piskun, the Buffalo Jump program on ZenSeekers: Put on a buffalo hide and run with the pack at Head-Smashed-In Buffalo Jump. A cowgirl desperately hangs on to a bucking horse at the Pincher Creek Cowboy Show. Pincher Creek is a friendly foothills town just a hop, skip, and a jump from Castle Provincial Park. Old meets new here; the Pioneer Village is just off Main Street which has been revitalized with new businesses in recent years. 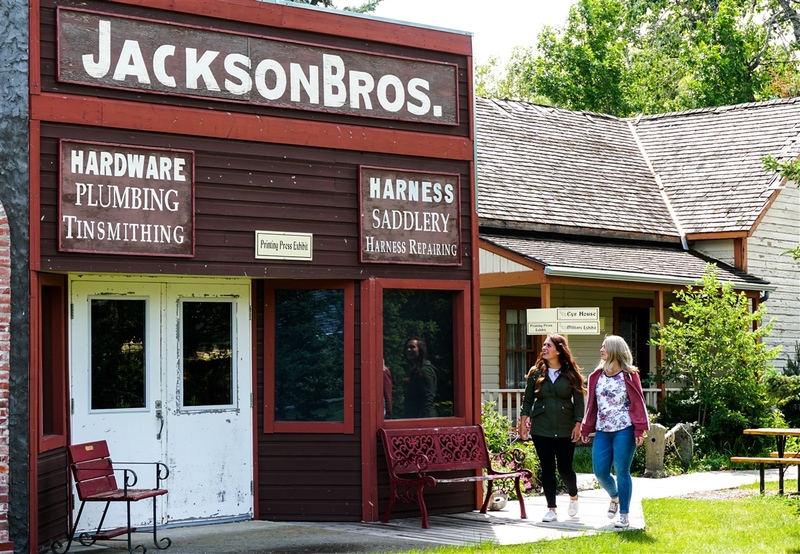 At Kootenai-Brown Pioneer Village, 27 lovingly restored heritage buildings, staff in olden-days clothes, two museum buildings, a country store and garden cafe await. 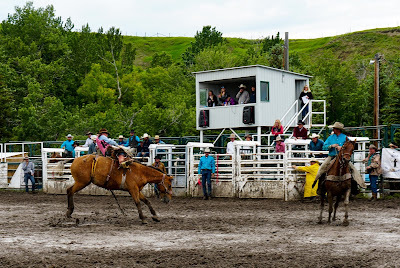 If you're road tripping in June, don't miss the Pincher Creek Cowboy Show! 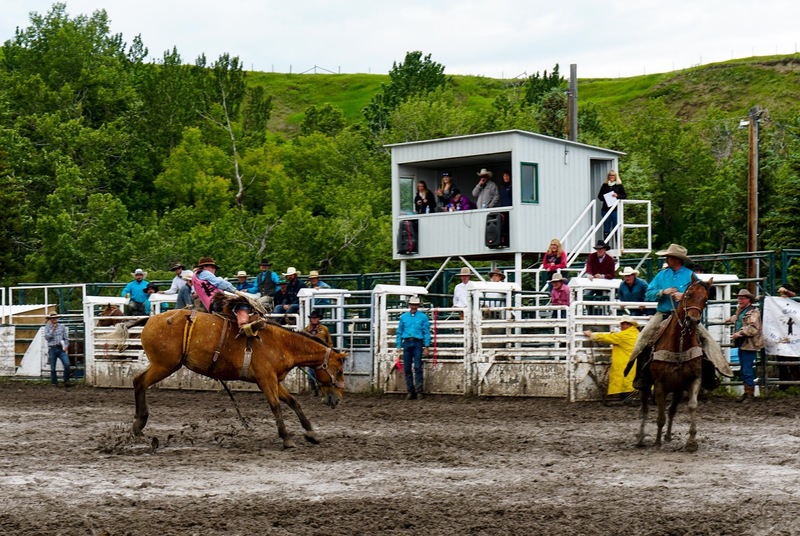 This small-town rodeo is for local cowboys and cowgirls and has a lot of heart. Where else can you get this close to the action? 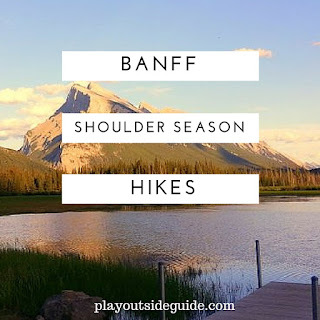 Discover Five ways to explore Pincher Creek on ZenSeekers. In 1874, the NWMP (known as RCMP from 1920 on) established a post at Fort Macleod to protect Canadian sovereignty and deal with illegal whiskey trading. 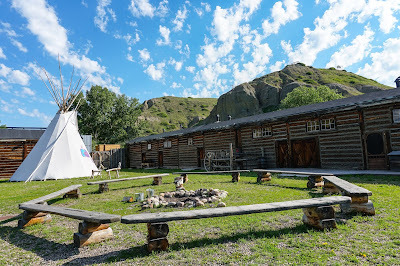 The Fort Museum of the NWMP and First Nations Interpretive Centre takes you back to those times with an authentic looking fort you are welcome to explore (it is a rebuild of the original which was located a few kilometres away), tons of artifacts, and unique experiences. Walk the catwalk along the perimeter wall, then enjoy the skill of the horses and riders in the NWMP Musical Ride, or register for the Groom a Horse program; a Canadian signature experience. 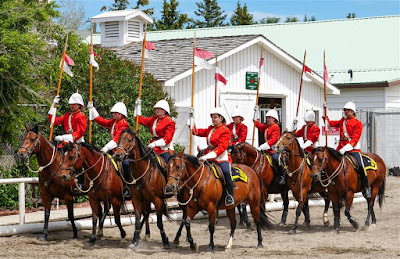 The Musical Ride was one of the highlights of our trip to the area! 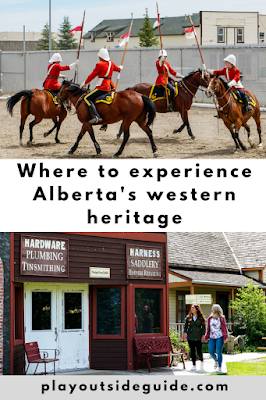 Explore more on ZenSeekers: Fort Macleod's NWMP Musical Ride a slice of Western Canadian you don't want to miss. While Fort Macleod was a police barracks, Fort Whoop-Up was a fur - and whiskey - trading post "founded by scoundrels". Late 1800's, pre-Mountie, illegal whiskey slinging history is brought to life by interpreters, exhibits, and special events. Enjoy a short documentary before going on a guided or self-guided tour of the museum and galleries. The "Voices of the Past" audio programs in the galleries play stories of scoundrels and lawmen who lived here long ago and make it easy to learn about the times. The Galt Museum covers more recent history, after the fur trading days. 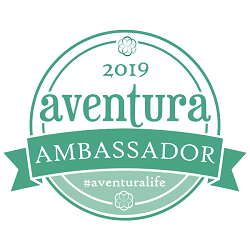 Check the calendar for special events like felted soap making, vintage police videos, the importance of the bison presentation and activity, and more! 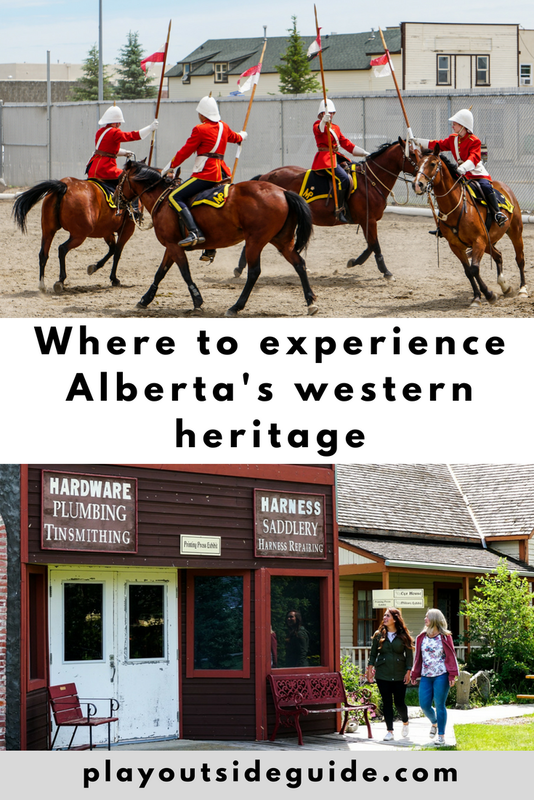 Check out the full story on ZenSeekers: It's easy to experience the Old West in Lethbridge, AB. Check out the Head Smashed in Buffalo Jump website to start planning your trip. 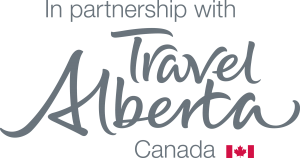 Visit the Fort Macleod website to start planning your trip and find more fun things to do. Visit the Pincher Creek website for ideas on where to go and what to do. 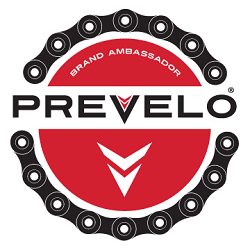 Thank you to Matt Bailey of Must Do Canada for these great stories!